If you love training individuals and working with a multitude of different companies, you may be interested in the field of corporate training. Corporate trainers need to be passionate and influential individuals that can explain concepts in easily understood ways. What Is a Corporate Trainer? Corporate trainers that specialize in new employees should be able to train employees quickly to ensure that the company gets more valuable time out of its new hires. Corporate training is an ideal position for those that love to challenge themselves every day and enjoy meeting new people. 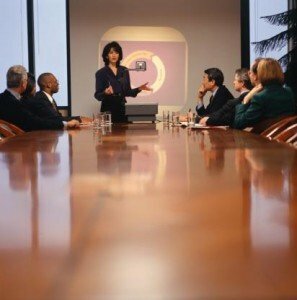 Corporate trainers work for a variety of industries. Some may specialize in certain fields such as accounting technology or IT technology while others may train on many different topics. Corporate trainers don’t just assist in transitions or train new employees, they may also act as active consultants on a consistent basis for companies that use specialized tools or have specialist needs. An ideal corporate trainer will be extremely passionate about their job, and able to easily learn and digest new material. Corporate trainers need to deal very well with other people and need to be able to adapt to different types of technology and environment. A corporate trainer will often need to enter into a new business and immediately institute changes and training methods. Corporate trainers need to meet the demands of the company that is their client while still performing up to the metrics of the company that actually employees them. They need to keep companies satisfied by training quickly and effectively and by offering the companies the tools their employees need to be successful. At the same time, however, the corporate trainers need to be able to spend enough time with the employees to ensure that they are trained the right way. Many corporate trainers will need to balance these items as they usually have a budget they need to follow to remain on target with their billing hours. Different employees will learn at different speeds, and a trainer will need to identify employees that need more help early on in the process if they are to consistently complete their training at the correct time. Many corporate trainers will choose a specific specialization early on and will be able to train best within their specialty. Corporate trainers will usually have a background in human resources or business management, but occasionally they will have a background in school or university teaching. The core principles that a corporate trainer needs to meet is the ability to educate people on a variety of difficult to understand topics. While training adults in a corporate setting is significantly different, the basic mechanics will remain the same. The trainer needs to construct their materials and read their class appropriately to ensure they are successful. Corporate trainers usually need to have a Bachelor’s Degree or higher and at least two or three years of professional experience. They may also be required to have certification within their field. Certification is often offered by companies like Corporate Trainer, and these certifications show a company that an applicant intends to move within their chosen field. How Do You Advance as a Corporate Trainer? Advancement as a corporate trainer is usually based on success. A corporate trainer should be able to successfully train large amounts of employees without exceeding their time budgets. It’s extremely important that a corporate trainer be able to reach employees on an effective basis and show them the correct ways of doing things. Corporate trainers that specialize in new employees should be able to train employees quickly to ensure that the company gets more valuable time out of its new hires. This is especially true for employees in high churn industries. Corporate trainers can also move into related areas in the field of human resources, which the Bureau of Labor Statistics reports as steadily growing.